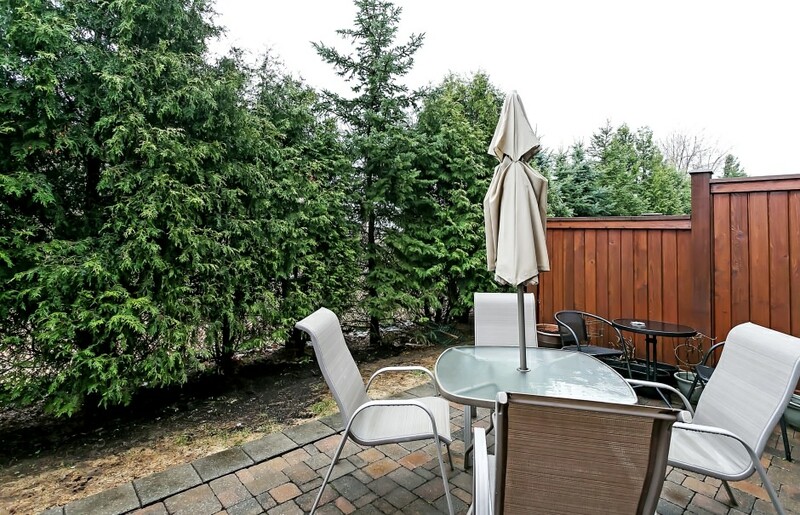 Highly sought after private enclave of Arbour Lane in prestigious Glen Abbey. Rarely offered floor plan is one of the largest in the community. This 3 bedroom, 3 1 bath townhouse is perfect for the first time buyer or downsizer. 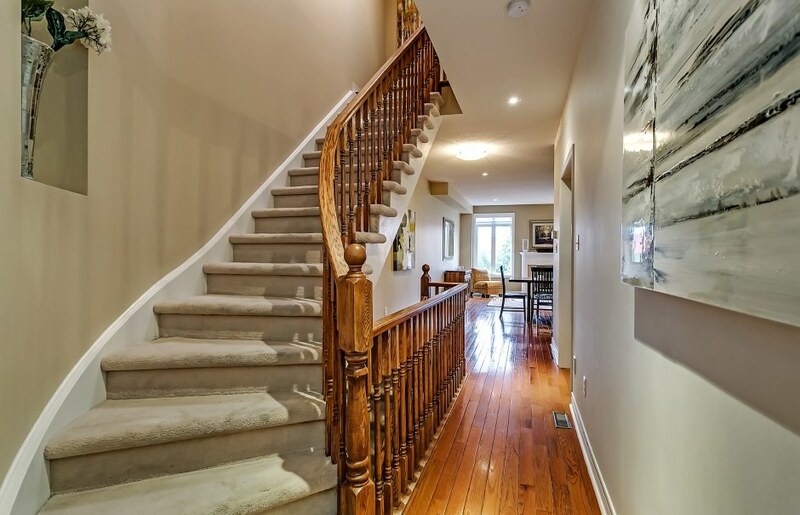 Beautifully maintained family home offering 9 ft ceilings and hardwood throughout. Large gourmet kitchen with stainless steel appliances and breakfast bar with seating for three. A stunning white mantle frames the gas fireplace in the oversized open concept living and dining room. 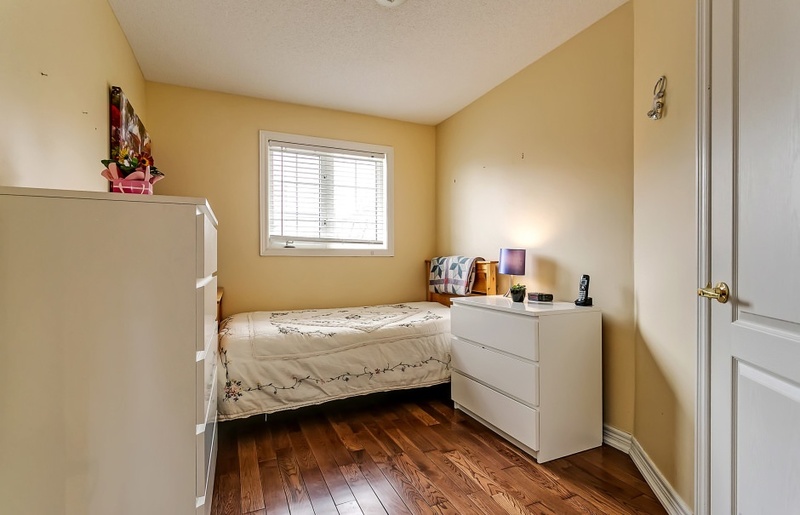 The second floor offers a master retreat with walk-in closet with built in shelving, additional closet for extra storage, and a private ensuite. Two additional bedrooms share a 4 piece bathroom. The separate laundry room is also found on this level. The completely finished lower level includes an oversized recreation room with wet bar, and a beautiful 3 piece washroom. Full walkout to interlocking patio and private yard. The low maintenance fee covers building insurance and maintenance of the grounds including snow removal right to the front door, irrigation system, lawn cutting and security. Easy access to shopping, restaurants, QEW, 5 minutes to Oakville Go Stations. Adjacent to Sixteen Mile Creek Walking Trails and Glen Abbey Golf Course.